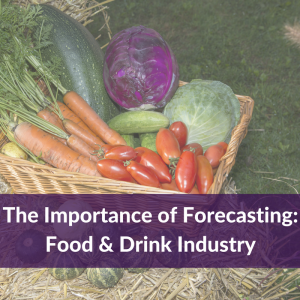 The Importance of Forecasting in the Food & Drink Industry. Deloitte1 forecasted that retailer operating margins could fall between 3-5% in 2017 and we have seen the realisation of this through events such as Sainsbury announcing more than 1000 redundancies in August of this year. The report shows that some of the key pressures on the operating margin are foreign exchange, business rates, labour costs and commodity prices. 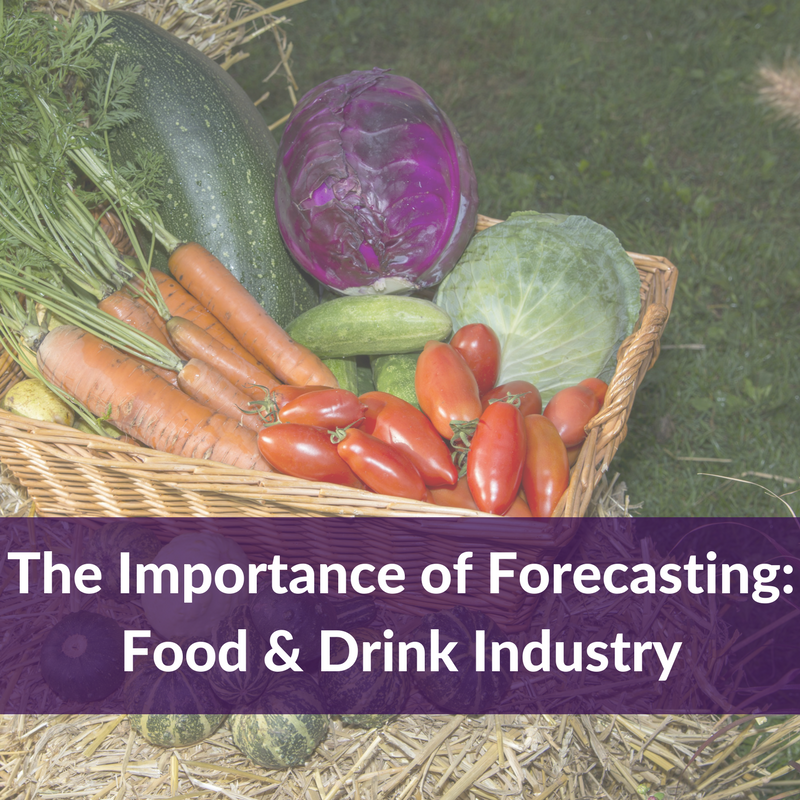 For Food and Drink businesses a robust approach to forecasting is even more business-critical in the current climate. As suppliers to the retail industry it’s important to have in place tools that will allow you to minimise the impact to your business of the actions taken by the retailers – be this an impact to your operating margin or working capital. The Groceries Code Adjudicator2 (Christine Tacon CBE https://twitter.com/ChristineTacon) has a ‘Top 5’ list of issues that the office is focusing on, of which one is Forecasting. This article will cover, briefly – it’s a massive topic after all and we could spend days discussing it – the impact of forecasting on an organisation and some of the levers in the Value Driver framework that you can pull in order to minimise that impact. I think having forecasting on Christine Tacon’s ‘Top 5’ list is more than warranted as it is one of the key elements driving performance. 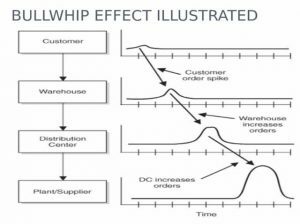 This is best illustrated through the ‘Bullwhip Effect’ which can be seen here3. 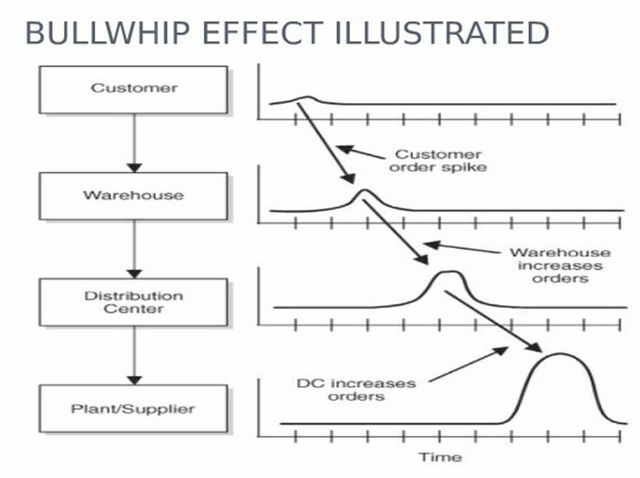 The bullwhip effect shows that a small change in forecasted demand at the customer level will result in a much larger impact as you traverse through the supply chain. Add to this the increased uncertainty due to promotions and it’s easy to see how inefficiency can accumulate. Forecasting, of course, is not an exact science, however technology is playing a part in improving our ability to forecast through Big Data and Machine Learning. Machine Learning is a term that encompasses several tools that can be used across both proprietary and open source (e.g. weather forecasts) data in order to generate more accurate forecasts than a human could on their own. A great example of this is Morrisons who launched a Machine Learning based tool in their stores in 2016 to improve ordering accuracy – and ultimately improve operating margin. While technology based forecast through either Machine Learning or statistical forecasting will allow organisations to improve forecast accuracy there will still be an element of human expertise required when it comes to new product introductions and promotions. This is where a robust S&OP (Sales & Operations Planning) process comes into its own as it will help reduce the risk of uncertainty through collaborative planning from demand through to manufacture. Every business can be thought of in terms of Value Drivers which include Revenue (Volume and Price), Direct Costs, Labour, Other Fixed Costs, Asset Efficiency – working capital and fixed assets, and intangibles. There are multiple levers (people, processes or systems) that can be pulled in order to improve these value drivers. Our Optimum Process Classification Framework4groups these levers into Business Capabilities with the matrix below showing the estimated impact each capability could have on the relevant value driver. Forecasting is a lever that touches on the majority of Business Capabilities and has a major impact on all of the Value Drivers of an organisation. The table below shows how forecasting touches on the relevant business capability and some tangible actions you can take to pull the forecasting lever. As you can see from the above, forecasting impacts on all areas of the business and has the potential to harm operating margin as well as improve it. Focusing on the business capabilities and the processes and systems that enable them is key to improving performance in any of the value drivers. What is the Groceries Supply Code of Practice? What is the role of the Groceries Code Adjudicator?